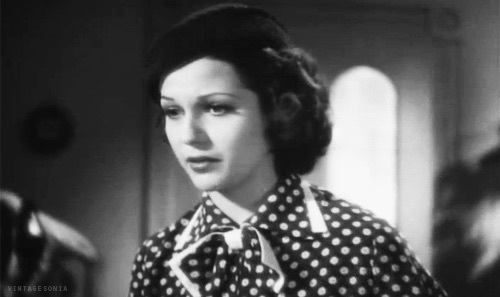 MEET NERO WOLFE is one of the early films that Rita Hayworth made when she was still Rita Cansino but had already had small parts in nearly a dozen movies. Rita only has a few scenes in MEET NERO WOLFE,but,at the age of 18, she was gaining experience at Columbia who would soon make her a star. Rita’s character,Marie, has come to see private detective,Nero Wolfe (Edward Arnold), in the hope he can find her brother who is missing. Nero appreciates Archie – “Archie does everything for me but think.” The always cheerful Wolfe continually needs Archie to do some investigation for him,while Mazy is wanting to go off and marry Archie. A college professor has died on a golf course and an autopsy shows that he was killed by a poisoned needle.Wolfe figures out that Marie’s brother,Carlo, was commissioned to make a gun out of a golf club. 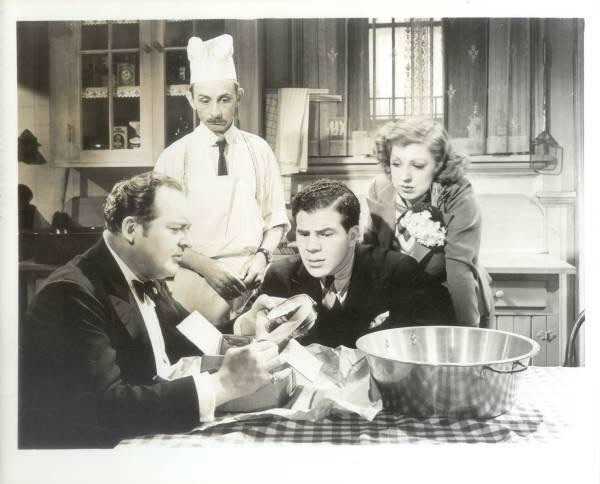 The cast includes John Qualen ( as Wolfe’s personal chef), Joan Perry,Victor Jory,Frank Conroy. 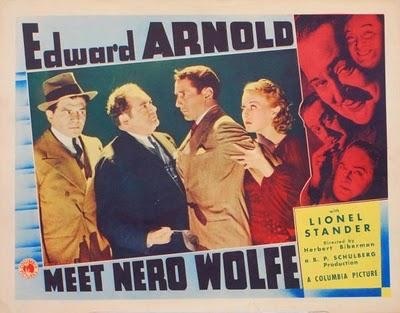 A pity Edward Arnold only played Nero Wolfe once. He and Lionel Stander, John Qualen and Dennie Moore made a good team. Walter Connolly played Wolfe in a second film in 1937, and there was a TV series in 1981, with William Conrad in the lead. I adore the books but have never seen this. I don’t know the books or how faithful the screen characterisations are, but I liked Arnold and Stander. This is spooky, Vienna – I’ve just read one of the books for the first time, and now you review this film, which I’d never heard of! I will have to give it a look. Arnold sounds like interesting casting, though nowhere near as fat as Wolfe in the books. I’ve only read the one book so far and had slightly mixed feelings about it but Wolfe fans tell me I went for the wrong one! Which one did you read? Some are better than others naturally. The first one, Fer-de-lance – I was a bit disappointed with it overall, but I’d like to give Wolfe another try. Which are your favourites, Colin? Yes, Stout hadn’t fully hit his stride at that point. Some people will argue his novelettes (the likes of And Four to Go & Curtains for Three etc) are best – I like them a lot but the novels are fine too. Some Buried Caesar is top stuff, Over My Dead Body and Prisoner’s Base spring to mind too. Remember that it’s mainly the interaction between Archie and Wolfe which is the important thing in these books, the mysteries are really secondary. That is spooky,Judy! Maybe I need to take a look at one of the books too. The film is fun. I’d say avoid the book I read – but hopefully Colin will come up with some better recommendations. I’ll aim to see the film! I have read many of the books but haven’t seen this film. And I never new Hayworth was in it. I need to see it! Trepedations: I fear it makes Wolfe too jovial, and though I love Dennie Moore (from Sylvia Scarlet and The Women), Archie never has only one girlfriend! Plus, the casting of chef Fritz is all wrong. Let me recommend Sydney Greenstreet in the Old Time Radio show, and most importantly Maury Chaykin and Timothy Hutton in the 90s A&E Nero Wolfe series. It’s far and away my favorite. Thanks for writing this review. Thanks for all the extra information. 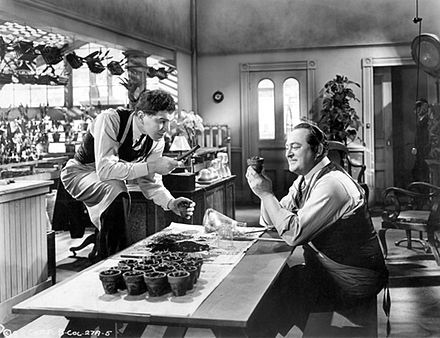 I can imagine Sydney Greenstreet being a good Wolfe. I’ve just ordered a paperback with two Wolfe stories – Too Many Cooks and Champagne for One. Someone in the book group I belong to is currently reading Too Many Cooks and says it’s good. Good choices there, two pretty representative examples of Stout’s work. 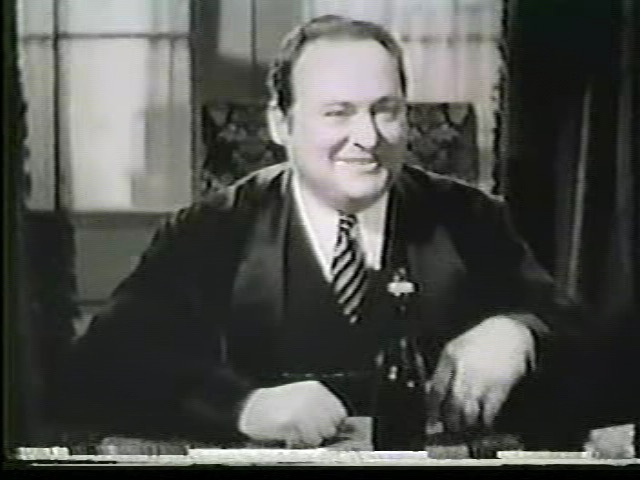 Edward Arnold sounds like great casting, but I just can’t see Stander as Archie. He’s certainly not my idea of Goodwin. 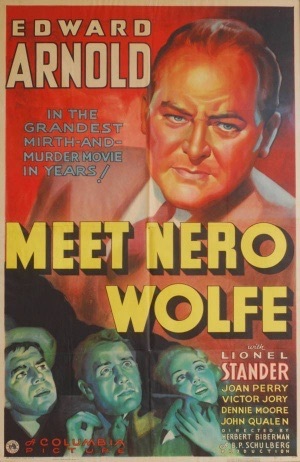 I love Nero Wolfe and have read every book in the series by Rex Stout, but I’ve never seen this movie. Shame on me. A great the poster too. One I would love to own. I haven’t read any of the books but hope to rectify that soon. Yes, the posters are great.